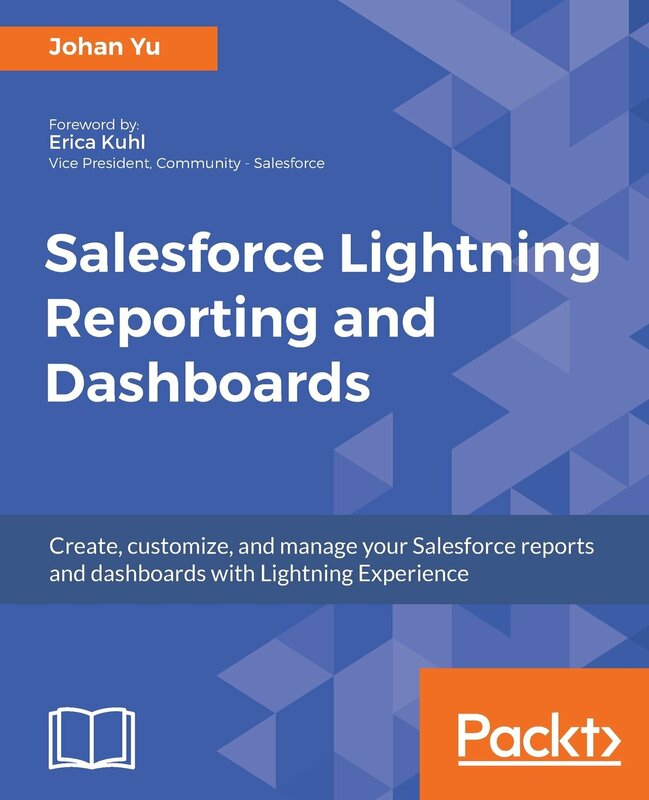 In the previous blog, we discuss basic setup to implement Collaborative Forecast in Salesforce.com. Next, we will continue with adding Opportunity Split into the forecast. 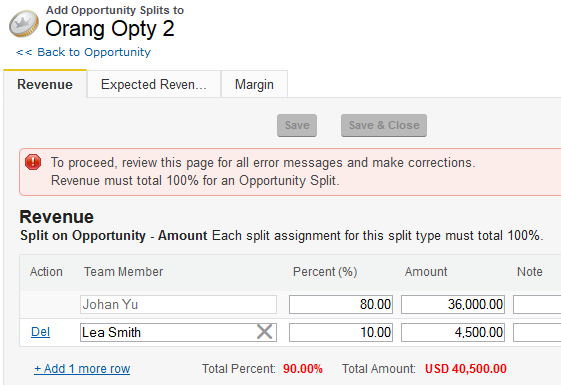 Opportunity Split allowing team members share sales credit for an opportunity. Remember that we can only have a maximum of 4 forecast type. To enable forecast by Opportunity Split, navigate to Setup | Customize | Forecasts | Settings. 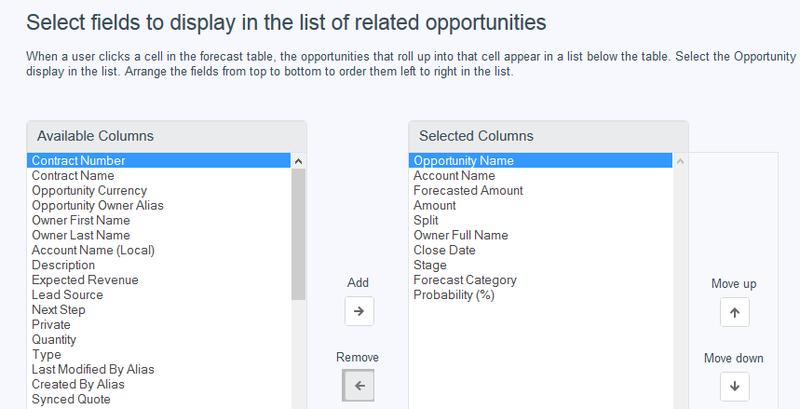 Click + Add another forecast type link and select Opportunity Revenue Splits. Select the columns that you want to display in the list of related opportunities. I would suggest to add following fields Opportunity Name, Account Name, Forecast Amount, Amount, Split, Owner Full Name, Close Date, Stage and Forecast Category. 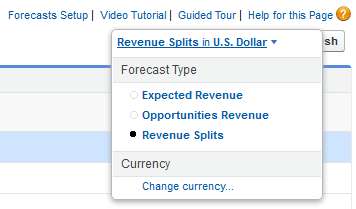 Click OK button to continue, Opportunity Revenue Splits will be shown in Forecasts Settings page. Remember to click Save when done, otherwise new forecast type added will be lost. In the opportunity page layout, make sure Opportunity Splits and Opportunity Team is visible. The opportunity owner is automatically included in the opportunity team and initially assigned 100% of the split types that must total that amount. Before adding a user into Opportunity Splits, that user must be added in Opportunity Team. For Split on Opportunity Amount, each split assignment for this split type must total 100%. 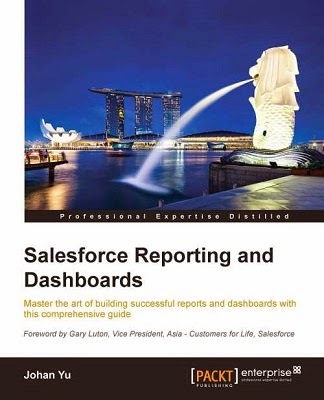 Enter the member name, adjust percentage of the owner, amount will be auto calculated. Now, it's time to confirm if it works. Click Forecasts tab, you should see a new value Revenue Splits in the dropdown of forecast type, click this forecast type. If you click the split value, in this case 100%, it will show you the split details. When you click the user name, opportunity information will be refresh and it will show exact Split percentage. If you see here Forecast Amount is Split percentage multiply by Amount, it doesn't effect with the Probability. For Forecast using Overlay Splits, see this blog Setup Overlay Splits Forecasts.